« Let’s go yell at some trees. I hope you get through this period of anger soon and quickly. I’m not one of the crowd that believes we “choose” how we feel. Sometimes we have no choice. Our feelings just are part of our being. While some people are better at controlling their feelings than others, I don’t believe they suffer any less. Again, I sincerely hope you get past it quickly. Please remember that you aren’t alone. It takes time. Reach out because we have all been there. I’m sending you a heartfelt hug. Breast cancer is a string of losses (I even have a post called that!). There is a lot of grieving involved and yes, anger certainly bubbles up too. Keep taking those walks. Keep meditating. Keep writing. Keep doing whatever helps you get through. And remember whatever you’re feeling is okay to feel. 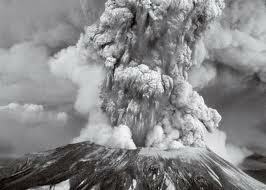 And I remember that day St. Helen’s erupted too. What a sad story about those children… Thinking of you as you approach ‘that day’. I am grateful for all the beauty you have brought into my life through your photos. I am grateful for your many posts which have informed, educated and inspired me. I am hopeful that you anger and anxiety will soon dissipate. You are blessed with beautiful friends. For this I am thankful. You are doing well and looking great. For this I am thankful. You have a great family who support you. Yes, for this I am thankful.